Welcome to episode 013 of Library Figures. In this episode our host, Tyler Byrd, takes a short break from interviews to share a bit about the importance of branding in library marketing. He discusses the impact of promoting your own library brand instead of the brands of your vendors and how a strong branding strategy can improve your messaging. All libraries want their patrons to help spread the word about the amazing things the library offers and in this episode, Byrd talks about how to make that happen naturally through good branding and consistent messaging. Tune in! Libraries used to be all about books. After all, the name came from the Latin word liber, meaning book. However, as society and technology evolve, libraries are keeping pace. More than just books, modern-day libraries are information, entertainment, and community hubs. Whether through toddler story time or community programming, the library is also a community hub. 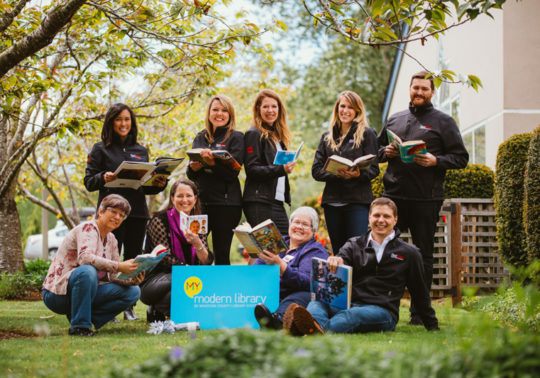 In this age of social isolation, libraries help connect people to other people. They provide refuge for out-of-school kids and offer homework help and book clubs. For the older crowd, they offer computer classes to keep seniors engaged in a digital world. And for those with substandard literacy skills, the library offers individualized assistance. Although the library excels in gathering people together for fun and learning, it also helps communities cope with natural disasters. For instance, during an exceptionally hot summer in Houston, libraries were designated as “cooling centers” and were open for extended hours to help those unable to access or afford air conditioning cope with the heat. Also, in the aftermath of Superstorm Sandy, residents who’d lost their homes crowded into New York and New Jersey libraries, using library computers and internet to fill out disaster assistance forms and communicate with family members. As part of its mission to build community, libraries are also becoming creation and collaboration spaces. From 3D printing to rewiring a lamp, to crafting wreaths, to quilting circles, libraries are enabling people to share their knowledge and learn by doing. Libraries also offer patrons gaming resources. In addition to their entertainment value, games introduce and reinforce educational, social, and life skills. As technology continues to evolve, libraries are offering a dizzying array of information, entertainment, and community services in classic and cutting-edge forms. Getting the word out that the library is more than books, however, continues to be an issue that library marketers must address. In a recent podcast, marketer Tyler Byrd, host of Library Figures, expounded on the problem and offered a partial solution. “Every time we ask patrons, “Hey, did you know the library has 3-D printing, or audiobooks, or e-books, or streaming music?,” Byrd explained, “the majority of them say, “I had no idea!” or, “I didn’t know my library offered that!”” Every time a stakeholder survey came out, the data was consistent: patrons didn’t know about most of the library’s non-traditional offerings such as language learning, digital magazines, or commercial-free streaming music. 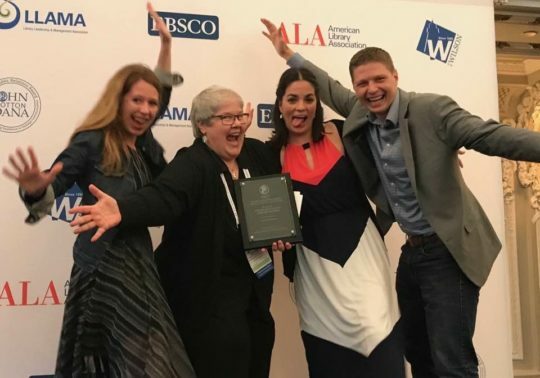 Libraries are investing in paid marketing, staff time, and digital resources to communicate the message that the library is more than books and engage the community. The public is absorbing parts of that message, but their perceptions mainly include events and the library’s physical space. Why isn’t the public aware of everything libraries have to offer? To illustrate the concept and power of branding, Byrd recounted an anecdote about a faux pas he’d committed. When he found out on a few hours’ notice that he had to attend an evening event, he had no time to change. Of course, that was a day he’d dressed down, and he was the worst-dressed person in the room. Determined not to repeat that fiasco, Byrd resolved to always show up for work in more professional attire. As part of his image upgrade, he began wearing Calvin Klein shirts. People complimented him on his new fashion consciousness and asked him what kind of shirts he was wearing. Although he’d bought the shirts at Macy’s, he replied, “Calvin Klein.” Macy’s carries a conglomeration of brand names, but there is no “Macy’s” brand per se. That got Byrd to thinking about another store he patronizes. This store brands everything with its own name: American Eagle. American Eagle offers fairly generic-looking jeans which aren’t noticeably different from most other brands. Yet when people asked Byrd what kind of jeans he was wearing, he replied, “American Eagle,” thus reinforcing instead of weakening the store’s brand. Libraries now operate more on the Macy’s than the American Eagle model. For instance, patrons are likely to say that they procure e-books from the Cloud library rather than the local library. Although the Cloud library is just the vendor, patrons go directly to that app, which has its own branding. Libraries need to engage and educate patrons through their own branding, much like the American Eagle model. To drive home his point, Byrd offered up another story about the power of branding. Even though the tale isn’t about libraries, it’s not hard to connect the dots. In addition to library marketing, Byrd spends his time on a co-working space—a place where entrepreneurs share resources needed to run a business, thereby slashing their overhead. In order to manage that space, Byrd’s tenants used an app that featured its own branding. Not satisfied with having his own brand shoved backstage while the vendor’s brand took center stage, Byrd sought out another vendor. He paid the new vendor a $100 Apple developer fee to get the app rebranded. The newly-designed app had the same functionality as the old one, but since it was branded for Byrd’s company, it reinforced his company’s branding and usage. Pleased with the now-cohesive experience, tenants became more engaged with the app and increased their usage exponentially. Libraries have successfully branded themselves with their physical, traditional spaces, and they need to continue that process with their evolving services. Much like Byrd did with his co-working space, libraries have to seek out vendors that allow libraries to offer a cohesive user experience. The capabilities are there, but libraries must demand those capabilities be exercised. What Else Can Libraries Do? Although Byrd’s podcast didn’t offer specific remedies beyond encouraging libraries to push vendors to feature library branding rather than their own branding, he did demonstrate a potent way libraries can engage their patrons: storytelling. Right now, only 45% of marketers are using storytelling to create a relationship with their audience. With most major brands featuring ads and push promotions, libraries can sneak in and do what they do best—tell stories. Most folks love feel-good library stories. Sales-y content turns off 71% of those surveyed, with 80% of people preferring to get information about their library from a series of articles rather than an advertisement. In addition, 75% of people who find local, helpful information in search results are more likely to visit a physical building. Content is key to getting more people to visit libraries. Viewers are more likely to share blog posts than any other form of content. More than 90% of readers will share a blog post if they think it will help others. The more frequently you publish blog content, the more often your content will show up on the search engines. Keep an eye on your rankings, though, since 95% of people don’t look past the first page of search results. Optimized, keyword-rich content is key. To capture your present and future patrons’ attention in this age of interruption, you need to take a cue from 90% of the most successful marketers and prioritize educating your audience over your company’s promotional messages. Since education is key to the library’s mission, this should be an easy fix. Here’s one more surprising statistic: 78% of effective content marketers use press releases as part of their strategy. Although that seems like an old-fashioned tactic, it’s really just story-telling. Make your releases informative, but use them to pitch story ideas to the media. They can take advantage of their built-in audience to spread the word about your library. Libraries continue to be vital centers to help inform, educate, entertain, and unite local communities. Let’s make sure they reach as many people as possible by helping patrons enjoy a cohesive experience through consistent branding and getting out the word out through storytelling, press releases, blog posts, and long-form content.